So, I will be sharing my experience with this Dr Wong's soap that I've been using for months now. My face is acne prone because I have oily skin. I've actually tried a lot of acne products for my face may it be cream,soap,facial wash and serum. There will be no month that I will not get a pimple;they come and go on my face and it is really stressful for me. But I am still lucky that they don't stay too long in face, it just that it never ends. Thanks I've found this inexpensive soap that suits "hiyang" on me while I was looking around Watsons in the soaps for acne corner. At first, I have no much expectations on this soap, it is just an ordinary acne sulfur soap that I've used before with no much difference. After 3 months of using it, I personally want to share my satisfaction on this product. This will be the first acne product that I can say proven effective for me with so much product I've tried before. It really prevents acne and will dry up immediately an upcoming acne. It also tightens pores you can feel it immediately after using it. But because it is sulfur, it can be drying to the face and you may need to moisturize while using this product and there will also be a minimal peeling of the face which is both tolerable and you could do something about. I also want to say that I submit myself for a monthly facial while I used this and doesn't use any other acne product but this. I have minimal to almost no breakout while using this, when one showed up the other day, it dries up and the day after or next it is almost gone that's how it works on me. Now I am just treating some blackheads and other acne marks I had on my previous breakouts through facial. I used this everyday preferably early morning and before sleeping at night so there will be minimal sun exposure while using the product but you can still use this as needed when you just stay at home. It is a yellow-colored soap, big and doesn't melt much with water that why it will took you long before you ran out of it,which is cost-effective I may say, the smell is like any other medicated soap. I highly recommend this for those oily skin and acne prone face like me. Thanks to Dr Wong's Sulfur Soap. 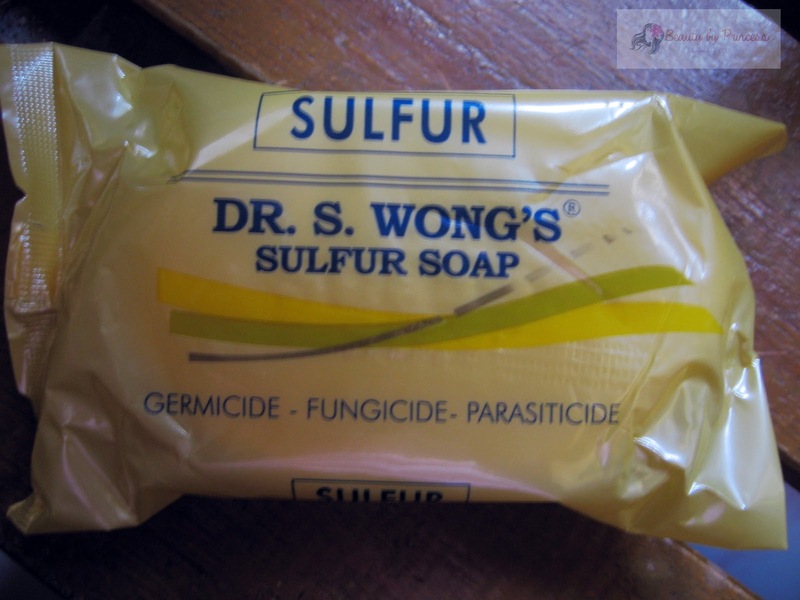 Update: Dr. S.Wong's Sulfur Soap with moisturizer is now available. Check out my full review HERE. uy! didn't know pwede pala to for acne. thanks for the heads up sis! this also works for chest and back acne? You might want to try the other one. Yung white! :) I used this before sguro a year, it dries my skin pero atleast it lessen my acne breakout. The white one is worth to go, kasi my moisturizing effect. And okay din sya sa body, since sensitive skin ako i get itchy kapag natagtag ng alikabok dahil sa humid air keme, Nakakatanggal kati din. Haha! ~ sarrey, novel. ^o^ great reeview by the way! :* More power. Hello! As for me, I used the soap regularly at night before going to sleep. I also used it at day as needed. Thanks for visiting. Hello. I'm using that soap too, but the white one. Pero hndi padin nawawala mga rashes ko. But it actually dries up the rashes. Npka-kati kasi. Tapos parang nging sensitive pa yung skin ko. Nagdadry yung balat ko. Is this normal? Please response mam. Hi ceellin gee! :D I guess you have a dry skin and the soap makes it more drier. Nakakadry talaga sya ng skin girl especially the yellow one. Considering yung white one na nga ang gamit mo which has moisturizer nagdadry parin ang skin mo better use moisturizer after using the soap. I don't know what causes your rashes but if it doesn't relieve it, then stop using it kung mas nagddry ang skin mo and if it further cause itchiness. But if it relieves it, then moisturize more often. 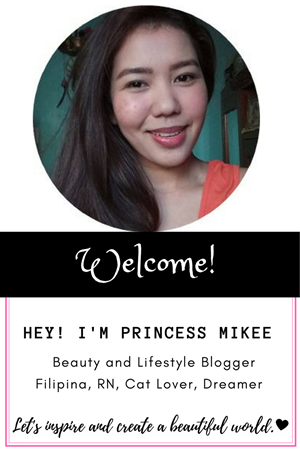 Thanks for visiting my blog ceellin! Hi Mikee! Ask ko lang kung ilang araw nag take effect yung soap sayo? Yung sakin kasi parang one week lang makikita mona yung effect e. After one week umorder na ako ng lima pa sa goods.ph (https://www.goods.ph/dr-kaufmann-sulfur-yellow-50g-8847.html), nag aaccept kasi sila ng bulk order saka sobrang nasiyahan ako at kuminis yung face ko saka nag dry yung pimples ko. Isa pa sa nagustuhan ko sa kanya hindi ako kinakati after ko syang gamitin. Thanks Mikee! Hi. Para ba to syang kojic soap? Mahapdi ba kapag ginamit then nagrered ba at namamalat ung skin? 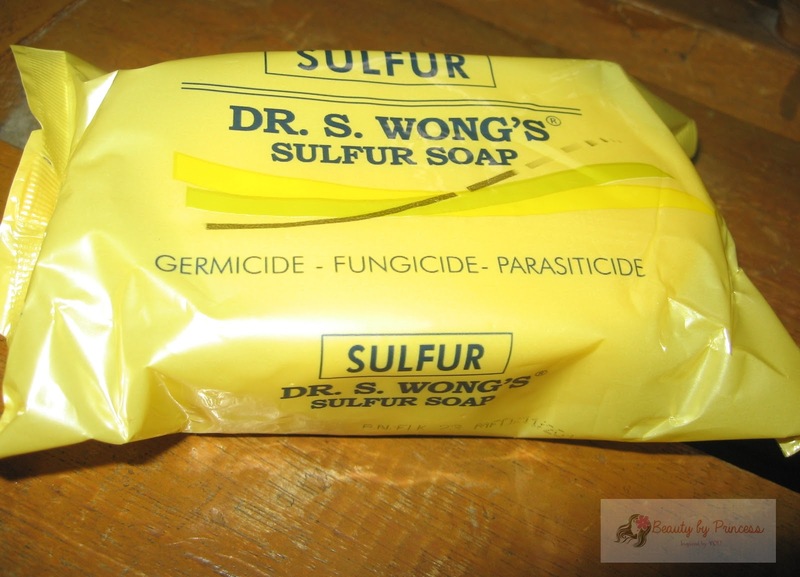 Hi po effective po b talaga ang sulfur soap in Dr.Wong? Acne prone po kc face ko dami ko ng nasubukan both expensive and affordable product pero wala pa rin .Sobrang laki p po ng iba na di kayang takpan ng concealer. Hi Aisha! Sakin effective sya. Itry mo if magiging okay din kasi marami narin nakatry nito and okey naman and results. I hope na effective din sya sayo. Salamat din for visiting my blog. :D Mwahugss. Hello Jude! I think okey naman sy pang ligo pati kati kati mawawala. Just moisturize more often. Any moisturizer you prefer will do. Hello. Actually hindi. But I still don't have product to recommend na perfect to remove acne scars. Yung akin nawala nalang siguro sa katagalan and besides, I have a lot products na tinatry. I am still on a trial process. I will tell you when I have one. Mwahugs. Hi! What's better? Dr. Wong's or Dr. Kaufman's? I don't have anything against Kaufman's but I prefer Dr Wong's. Thank you for visiting. gaano katagal dapat gamitin itong sulfur soap? pwede bang araw araw kahit wala kang pimples? Hi Princess! Buti at nabasa ko etong review mo. Sana humiyang sakin to! ngstart na akong gumamit ngayon. Hey Jp! Salamat sa pagbisita. Hoping it will work on you too! Update me, alright? Mwahxx! Which is the best? Ung yellow or ung white? Hello Bon :) The white one is the better version. It has moisturizer na. Hello ms. Princess, effective rin po ba ito sa buni? I'm using a similar product, a competitor actually (Dr. Kauffman). But I use it as body soap bec. when I perspire, I itch afterwards. The itchiness and redness was addressed, not to mention that it also controls underarm odor. Though the soad itself is odorless, and yes, it dries the skin. Nakakatangal din po ba sya ng oiliness at large pores? Hello Janine! Hindi masyadong nakakatanggal ng oiliness and large pores. It dries out pimples and relieve minor skin irritations. Hi! I think mga 3 months but after a month or couple of weeks, you will notice the difference. I still use it up until now. 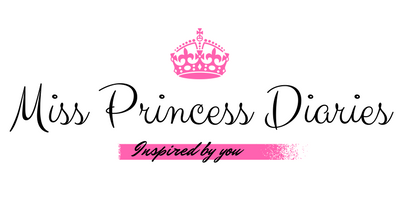 Thank you din for visiting my blog. This is one of the soaps I really use. Not for the fact that it helps with skin beautification but it may be used with pets as well. My dogs had allergies before but when we used this when we bathe them, they got better! Their allergies slowly disappeared. Hey Jeffrey! I think there will now problem if you switched from using this then, apply the coconut oil after. By the way, this yellow colored soap is drying on the face so it is really recommended to moisturize after. They actually have the white one (soap) which already has moisturizer. I hope I answered your question. Thank you very much! Mwahx. Hello again Jeffrey, if you used the yellow bar soap, it is a must to use a moisturizer because it can badly dry your skin. However, if you will use the new and improved Dr. Wong (the white one) which has already a moisturizer. you will have no problem. I have oily skin and have a bad break outs on my face. My inquiry is, do I really need to use moisturizer after I wash my face with this Dr. Wongs Sulfur Soap? I have an oily skin and eventhough I use this only at bedtime, my face was very oily in the morning..
Hi Tan-tan! May moisturizer naman na po yung white one na Dr. Wongs so you don't have to worry. Effective din po ba siya sa mga may B.O.? hi . marami po akong pimples,. yung puti? or yung isa? Hello! Much improved na po yung white one, you can try using it. Hello po. Ask ko lang po kung pwede akong gumamit ng toner after gumamit ng sulfur soap? 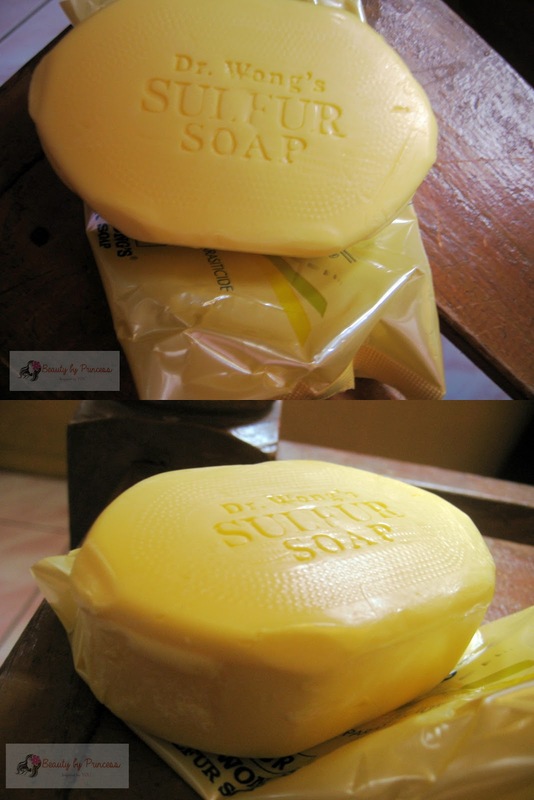 Hello po tanong ko lng po effective po ba ang sulfur soap para sa puti puti sa mukha na parang an-an? Hello po. Ask ko lang po if you are the same person as Mr. Volleyball? Lol! Sir, I am not sure if this soap will heal those white patches on your skin but what I assure you is it lessens skin irritations. Better try it and tell me if it works on you too. Thanks for your review! i am now using this soap for 2 days palang and i see the results after! it really dried up my pimples really fast! :) but before i used this soap, i'm on my 2 weeks using of Katialis ointment, they said it would be perfect if i used sulfur soap and so i did! they we're perfect match! i hope this can be the cure of my long time curse! haha! thanks a lot! Hello! Truth girl. It is a perfect combi with Katialis ointment pero dapar sobrang konti lang na Katialis ang gagamitin at sa part lang na may pimple para makatulong sa pagdry. Good to hear, it works on you too. Hello po! I don't think it can whiten skin effectively. Mas okay siya to prevent and dry up existing pimples. Hi girl. Do you think... this soap can do something aabout my facial warts as well? Hi! I am not sure if okay ito for facial warts. You better consult dermatologist about that. :D Thanks for visiting! hello po .Nakakatanggal rin po ba ito ng white spots? Hello! What kind of white spots? I am not sure of what you are talking about po. Pwde ba yan ibabad sa mukha bago matulog hanggang paggising po? Wag girl! Rinse mo rin after. effective ba to sa mga pabalik balik na rashes? Hi Leo! It depends on what kind of rashes you are referring to. Ok po ba gamitin sa ulo para sa itchy scalp yong white na dr wong? Hello Ms, i am using the sulfur soap for two days now tpos naglabasan lahat pimples ko but it dries so fast natatakot ako if effective sa akin or hindi pro i will continue using it , nagamit ko na lahat ng branded products even facials sa belo pro walang nag work, sana ito mag work na. Ang question ko po normal lang po ba yung effect na lumabas ang mga hidden acne ko? Pro nag da dry nman sya agad. Hello! Give it more time po. Kasi it will clear din yung mga dating pimples na nakatago sa face mo. The drying process will really take time depende pa sa severity. If nadagdagan ng marami pa ang pimples, then it might not be that effective on you. Surely, it will dry up existing pimples..
Pwede ba gamitin for itchy scalp? I think so, but I haven't tries yet. It think this is for dandruff too! Tell me once you tried it. it's going well. i also use dr.wong sulfur soap the white one to wash up my face. Hi Mikee.. :) im using DR. Kaufmans sulfur for three days na... is there any difference po ba ito with Dr. Wongs sulfur soap?? Nakakawala din po ba ito ng mga Pimple or Acne Scars po? Wla nman aq halos mga pimples na pero mdyo may mga pimple scars and acne scars pa aq..
Hello po! Hindi masyado Chriz. More on sa tigyawat at kati-kati sya. Hello po, pede po kaya to gamitan ng Aloe vera gel ng watsons? O.o Thank you in advance po.